Home BPT20 Bliss Paper Thin 20"
BPT20 Bliss Paper Thin 20"
$183.00 This may be in stock for quick delivery; please call! The Dream Bliss Series 20" Paper Thin Crash Cymbal falls right in with the rest of the Bliss line of cymbals but with the even darker qualities of an extra thin cymbal. 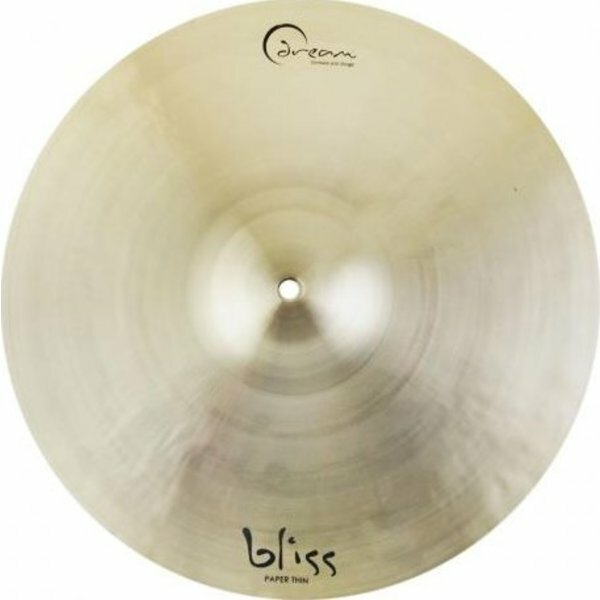 BLISS Cymbals are the flagship line from Dream. BLISS are vintage style cymbals with a personality all their own. Offered in even sizes, they are totally hand-hammered , microlathed plates with a low bridge, small but clear bells and are quite thin. They are exceptionally resilient and slightly soft on the stick.